Sometimes feuds can just come together without much help. Sometimes feuds write themselves. The story of the breakup of The Shield is one of them. 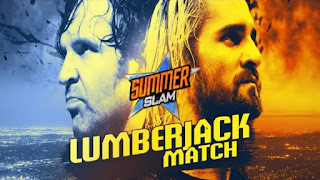 Today, I wanted to take a look back at the huge match between Seth Rollins and Dean Ambrose at SummerSlam 2014, a monumental lumberjack match. The Shield had finally disbanded with Seth Rollins turning on Roman Reigns and Dean Ambrose. With Ambrose and Reigns still feuding with The Authority, it was only a matter of time before each "remaining" member of The Shield got their chance at Rollins. Ambrose had the first shot and he wanted it bad. 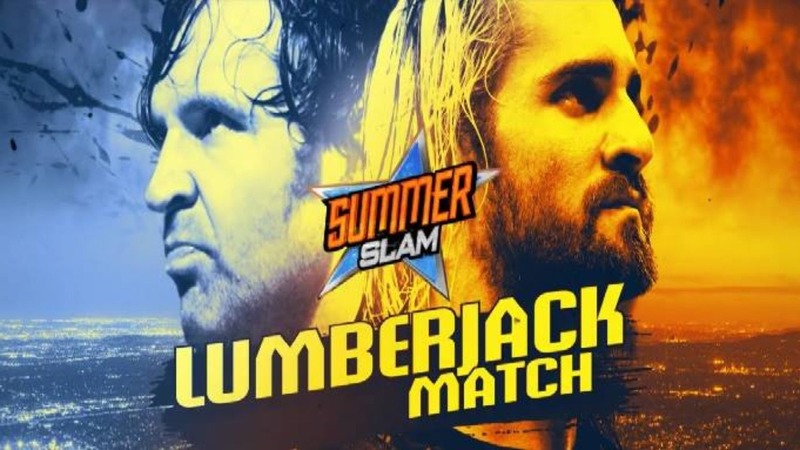 These two were supposed to have a match at Battleground, but WWE wisely saw that this was a money match and decided to push it to Summerslam (one of the smartest moves ever because this feud was red hot) by having Ambrose thrown out of the arena after attacking Rollins. In the weeks leading up to this match, these two would go back and forth. 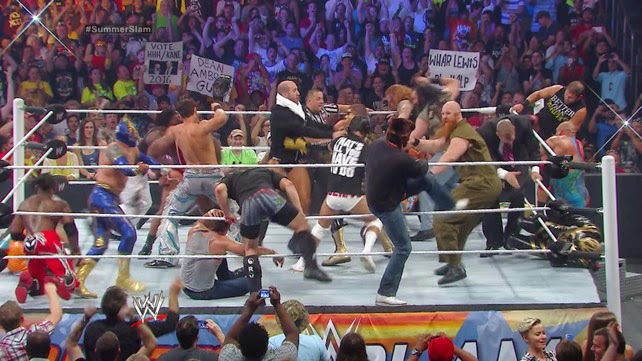 The match starts off with a fist fight. Both men would be tossed outside only to be thrown back in by the lumberjacks. The action would then pick up and in a bizarre turn of events, both men ended up outside and into the crowd. 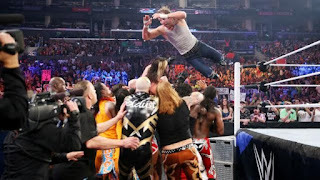 The lumberjacks would attempt to bring Seth back into the ring, but Ambrose jumps on everyone in one of the better spots you'll see in a match. 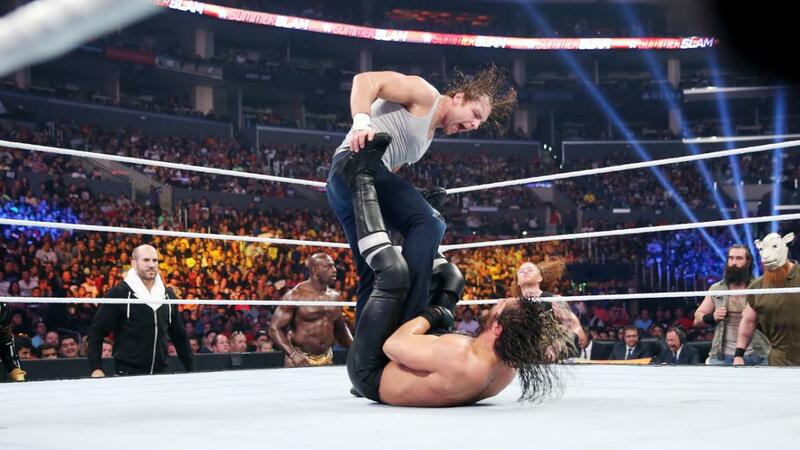 When these two get back into the ring, Ambrose takes control and hits the Curb Stomp on Seth. 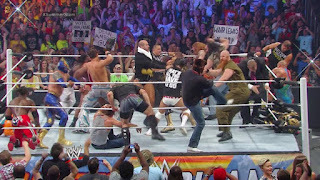 When it looks like Ambrose was going to win, Kane interferes, which brings Goldust in to read him the riot act which then ignites all the lumberjacks to get in the ring and fight. After the lumberjacks are cleared of the ring, Rollins uses the Money In The Bank briefcase to defeat Ambrose. I think is the most creative of all the lumberjack matches I've seen honestly. 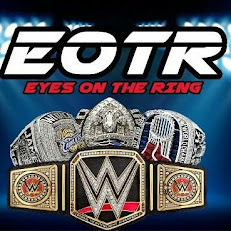 The action from start to finish was really solid and I enjoyed every minute of it. These two put on a great one.